. Published on August 8, 2014 . 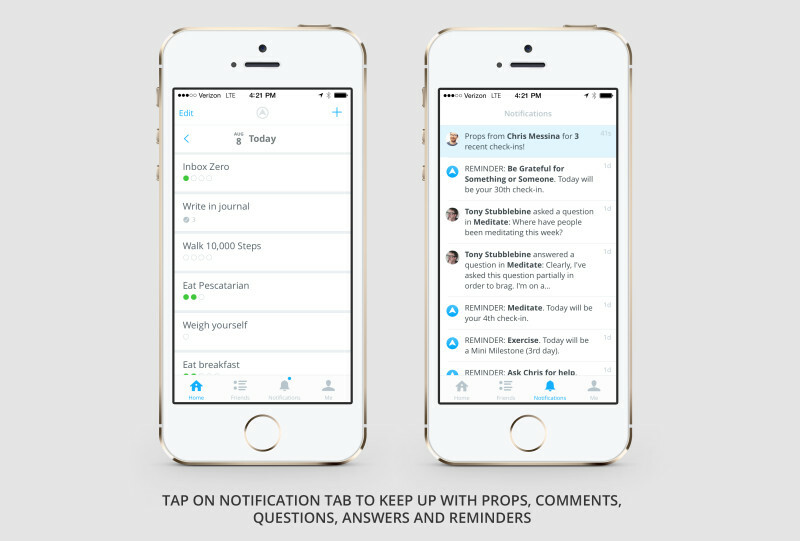 This release adds a notification center so that it’s easier for you to find props, comments, questions and answers. We’ve also fixed a bug that was preventing some iPad users from signing up or logging in. Read on for more about recent and future changes. In the last release note, I talked about Lift’s ambitions, but I ran out of room before getting to the most important piece. We’re starting to bring professional coaches into Lift. There’s two things to know about this: how coaches can help you and how coaches help us build a business (which also helps you). First, the value of coaches. I’m a human performance nerd. People go to incredible extremes to achieve their goals—I want to know their secrets. Anyone in the Lift community who has ever achieved a goal learned at least one trick along the way that isn’t commonly known to the rest of us. We launched Q&A to help spread your performance secrets. We also want to bring the secrets of professional coaches. When you dig into the background of successful people, you almost always find an amazing coach. Mozart’s dad was a music teacher. The Williams sisters took the tennis world by storm based on the strength of their dad’s early coaching. I bet you that even Oprah has a coach. As a technologist, I’m amazed how few people a great coach is able to work with. Usually the number is in the dozens. We think coaches can use Lift to bring their expertise to thousands of people. As I write this, Tim Ferriss, author of the 4-Hour Body, is coaching 4,600 people through an August challenge. That’s leverage. A lot of people ask me how Lift makes money. I used to give a generic Silicon Valley startup answer: we currently don’t make money and are funded by investors who want to see us focus on product market fit and growth first. There are so many companies like this who come into existence, burn through someone else’s money and then disappear. It’s cliche. At some point you have to make money. My perspective is that I really want to make the largest possible impact on human performance and there are two ways that money plays into that. #1. The longer we stay in business the more of an impact we can make. On a per employee basis, a member of the Lift team working for a single day has the impact of a life coach working full time for more than ten years. That’s the leverage that technology gives us. Imagine if we could pull that impact off for a ten year or hundred year period? Well, that’s going to require finding revenue so that we can be a sustainable business. #2. Sometimes charging for something allows us to provide a service that we couldn’t otherwise. For example, one of our current experiments is with actual human accountability coaches who check in on you, answer questions, and give you prompting. This experiment has nearly doubled people’s success rates. * Improves success rates, i.e. impact. * Provides functionality that couldn’t exist without payment (i.e. it’s not an artificial freemium cut-line). * Is straight forward for the users to understand where we make money (unlike selling your data). For what it’s worth, I actually really enjoy making money because it’s very clear feedback from the community that we are providing value. As an entrepreneur, it just ends up feeling like a healthier and more honest relationship. P.S. Please update your App Store reviews. It only takes a few taps. P.P.S. I’m always worried that the switch to having paid features means people will fear that we’ll lose focus on free features. 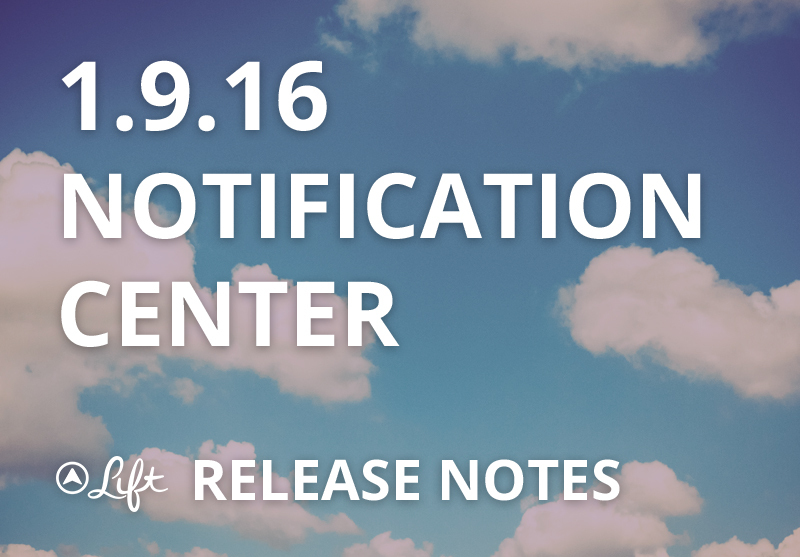 Our show-don’t-tell answer is in the last three major releases: targets, Q&A, and notification center. We’re going means we’re doing less fishing around and more making-things-awesome.